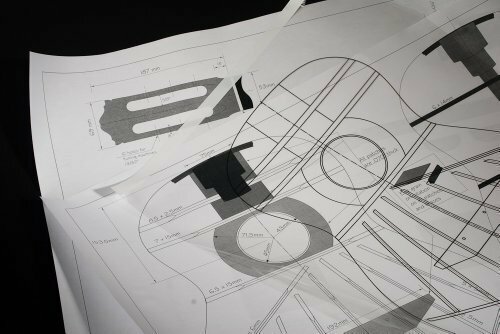 These plans and acetates describe the guitar being made in the book by John S. Bogdanovich "Classical Guitar Making: A Modern APproach to a Traditional Design".The plans, as depicted in the book, were difficult at best to increase to full scale accurately. This full size set of plans has been accurately produced in great detail fully describing the guitar in the book. Additional content has been added to the plans such as the side template and templates for 15' and 25' radius sticks which can be used to make the sanding dishes for the rims. Acetates for both the top, and the back have been added for easy layout of the bracing. The thickness of the acetates facilitates use of a pin to locate braces as described in the book. These are the same acetates used in our shop for years. Both these acetates will enable you to accurately position all the patches and braces on both the top and the back of the guitar. If you have any questions about this product by J.S. Bogdanovich Guitars, contact us by completing and submitting the form below. If you are looking for a specif part number, please include it with your message.